Congratulations to Helen McKay, our Risk & Compliance Officer, on her appointment as Chairperson of the Chartered Banker Institute’s Edinburgh, Fife & Lothians District Centre. 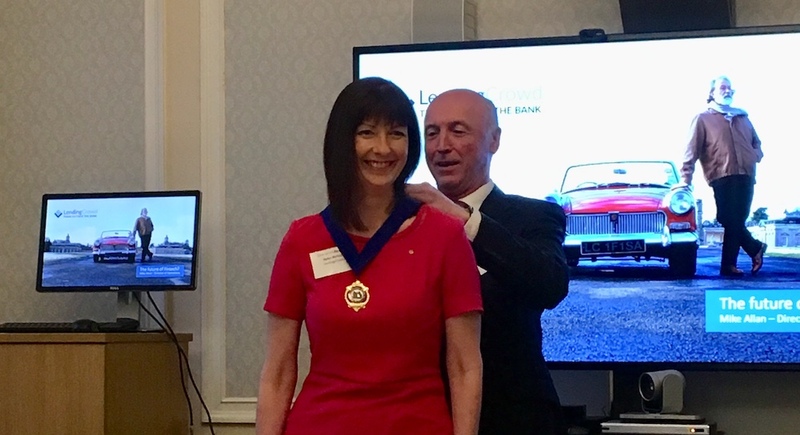 Helen, who was the first employee to join LendingCrowd in 2014 and has worked in the financial services sector for more than 30 years, was made a Fellow of the Chartered Banker Institute in January 2017. As Chairperson of its Edinburgh, Fife & Lothians District Centre, she succeeds Eric Stoddart, who had been in the role for three years. “The Chartered Banker Institute exists to maintain stewardship, prudence and professionalism in financial services – values that are at the very core of LendingCrowd,” said Helen. The Chartered Banker Institute was founded in 1875 and is the largest professional body for bankers in the UK, with more than 30,000 members. 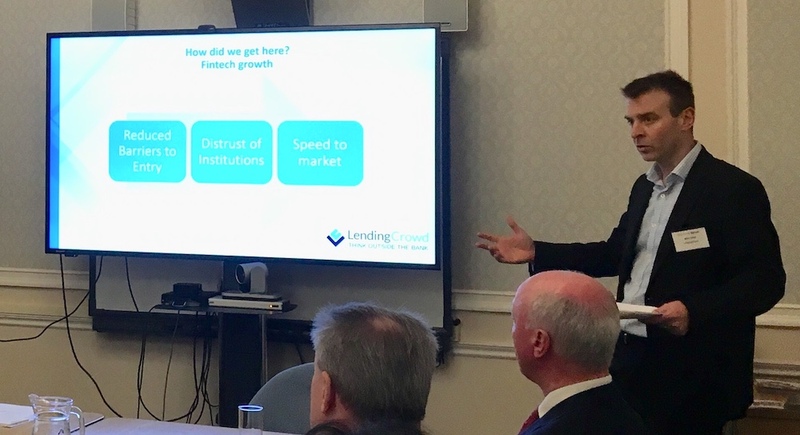 Last night’s meeting of the Edinburgh, Fife & Lothians District Centre also featured a presentation from LendingCrowd’s Director of Operations, Mike Allan. Examining the evolution of fintech – from the first ATMs in the 1960s through to emerging technologies such as artificial intelligence and blockchain – he explained how the pace of change is accelerating. Mike told the meeting that those fintech companies that are agile enough to innovate within a heavily regulated industry are best placed to succeed, providing they know their customers. In a world increasingly dominated by data, capturing and analysing that data effectively is crucial, he concluded. Congratulations Helen, I can’t remember a time when you weren’t studying hard for one qualification or another to further your career. Well done on your latest achievement and recognition. Amazing news – what an honour.